The battle between Apple and Samsung is getting more real and harder as the release of the new iPhone 8 and Galaxy Note 8 gets near. New leaks indicate that Samsung will place the fingerprint scanner on Galaxy Note 8 on the rear right next to the camera, but this is no big surprise given the fact that this had already been implemented to Galaxy S8 model. It seams that this change made Apple the principal competitor of Samsung to also relocate the fingerprint scanner on the new iPhone 8 also. 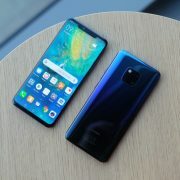 But given the fact that the new model will have a screen that will be from edge to edge, the placement of the fingerprint scanner will be on the back of the phone. This is expected to be very beneficial. 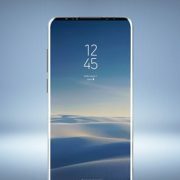 Also recent leaks suggest that Samsung is planning to release Note 8 by the end of August, making the Korean company deliver the new phablet way before iPhone 8 hits the store. This will be a big marketing hit for Apple and it is expected that their sales will drop because of this. Galaxy Note 8 it is also a crucial release given the fact that Note 7 has an infamous history because of its tendency to overheat and explode, forcing Samsung to completely recall all the units. This is a plus for Apple. Samsung has been spotted with a new dual-lens camera for the Galaxy Note 8 and the community suggests that the camera of Note 8 will be fame more superior to the dual lens camera on the iPhone 7. However, Apple will improve the dual-lens camera on the iPhone 8 also in an attempt to stay ahead of Samsung. One of the new features included for the iPhone 8 is wireless charging. This has already been a part of the Samsung pattern for a while now though. Does Meizu Pro 5 beats Samsung Galaxy Note 5 and iPhone 6s in Geekbench Score? Related Posts on iPhone 8 vs. Samsung Galaxy Note 8 – Which One Should You Buy Next?